The Marketing Department of Azulev Group, in collaboration with the Product and R+D department monitor the market situation. The demands of the market are studied and later turned into production lines, innovating, controlling their acceptance in the market. Service and personalised attention to our customers are two of the pillars on wich our business policy is based. Brands: Our group has 4 cornerstones which take the ceramic product to unmatchable limits of quality. They are our own brands and they are recognised internationally: Azulev, XLAM, Sanchis and Bath. 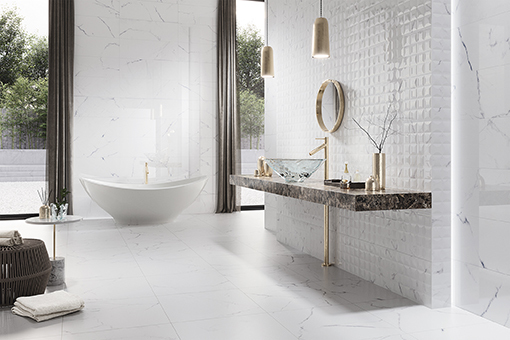 It is a white marble with soft grey veins, a classic that makes it possible to create timeless spaces. The white body wall tile measuring 29x89 is presented in a glossy finish and decorated with a BRIDGE relief. 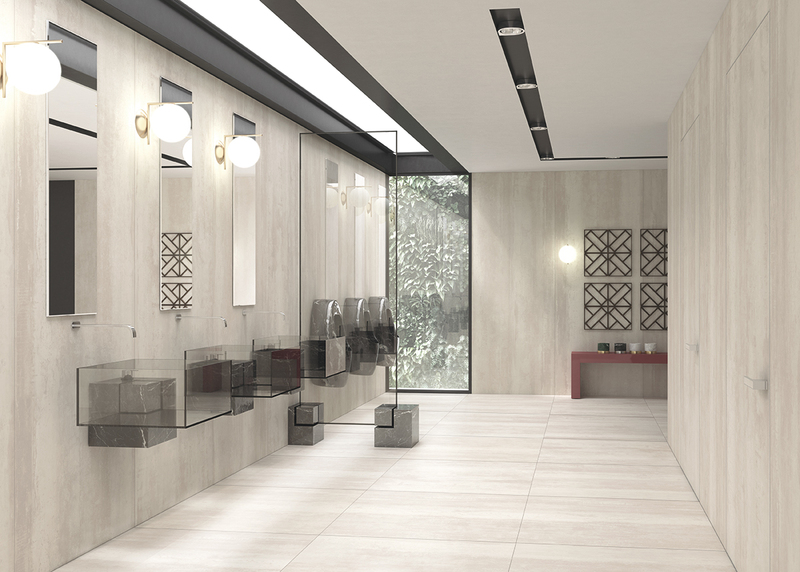 In porcelain, the 29x59 and 59x59 matte finish is added. This format is not only the coordinated floor of the wall tile, but is also excellent for indoor floors that seek to recreate classic spaces. EXPRESSION is a very thin type of tin and iron plate. For the development of this series we have used industrial sheets to which we have given final treatments against oxidation and corrosion to obtain the desired result. With it we can cover environments and minimal stays. To the series incorporated to catalog is added the EXPRESSION LAPPATO 100X100 10 mm, a finish that brings great luminosity and elegance to the space, giving a feeling of greater amplitude. It is a limestone that is one of the limestone rocks and is mostly composed of calcite and also contains small amounts of minerals, such as quartz and clay. It is a natural stone with a structure and a stone finish. As we can see, it is nota-ble for its overall naturalness, giving a superb result. 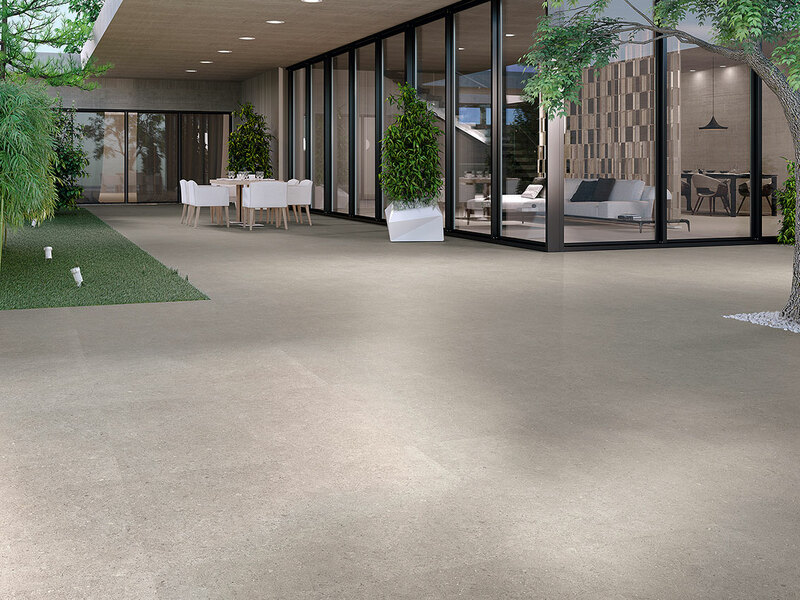 We released the series in two thicknesses, 6 and 10 mm for the 100x100 rectified porcelain format and 6 mm for the 50x100 and 100x260 porcelain formats.